Vicious Baby Almost Kills Mother By Fighting Her Way Out and Then Almost Causes a War! 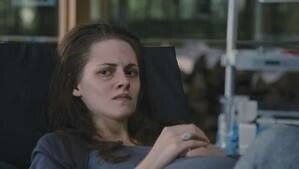 Bella Swan almost dies from having her baby. The baby was growing so fast that it was breaking her ribs. 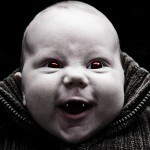 The baby is also half vampire, so it was drinking her blood and eating her from the inside out. She was becoming very sick and weak. Earlier this week, Bella reached too far for a cup and went into labor. She had the baby really early. 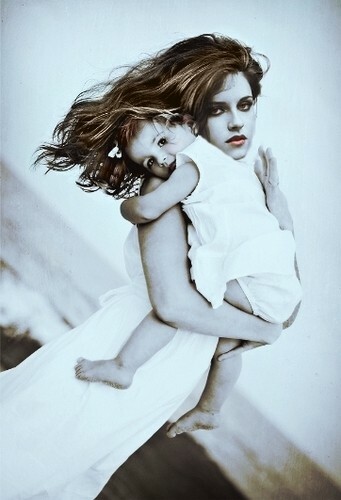 Since she had the baby so early they had to cut out the baby because it was suffocating. They had to give Bella a shot that paralyzed her so she could live and they gave her morphine for the pain. The morphine shot made Bella super strong and super fast. Both Bella and the baby are doing well now. The baby is growing very fast. She is growing much faster than a regular baby. Her name is Renesmee. Jacob, one of Bella's friends has fallen in love with the baby, Renesmee. Bella loses her temper and tries to kill Jacob. The Voltori, an army of vampires soon finds out about the baby and tries to kill the baby and the Cullens. However, the Cullens have found out about the Voltori’s plans. They gather all of their family and friends and explain the situation to them. The family and friends have agreed to help them out. The wolves join with the Cullens to help protect the baby Renesmee since the chief, Jacob has fallen in love with her. At the end they did not end up having a battle because they found out that the baby is not what they thought she was; a full vampire.